Non-Members: Become a member or buy an individual cruise ticket. Individual cruise tickets are $50 per person. Great for visitors to DC! 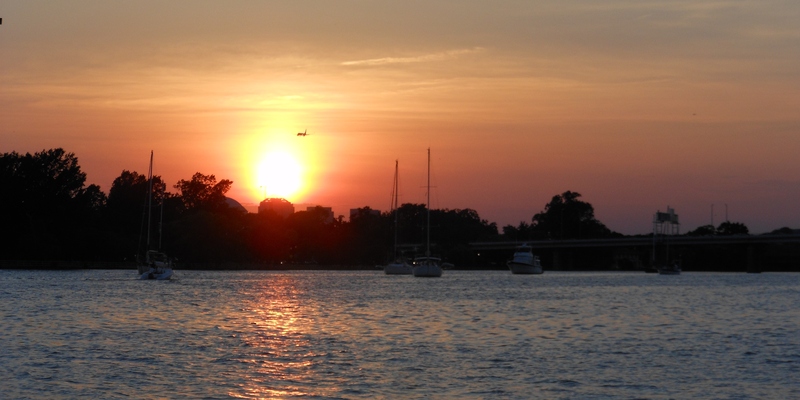 Cruises are half-price for DC Sail members and up to 3 guests! The reduced cost is just $25 per person. You'll need to be logged into your DC Sail member account to receive the discount. Registration: Please scroll down to the red box below and then select the link for the sail you wish to attend and proceed with registration. What to wear/bring: You may wish to bring along a lap blanket and be sure to dress for the weather. Even in summer, it can be cooler on the water, so bring along a jacket or sweater if needed. Wear closed-toe, soft soled shoes. Cancellation: If severe weather (thunderstorms, excessive winds, etc.) prevents us from being able to safely leave the docks, we will issue a cancellation and full refund of your purchase. Please be advised that we will not cancel in the event of light rain/mist. Rain gear/poncho is then suggested. Cancellation notices are sent out via email typically two hours prior to the planned departure time. Payment Information: Full payment must be made at the time of registration. Pending registrations without payment will be auto-cancelled by the system after 15 minutes. Please have your payment information available at the time of registration.